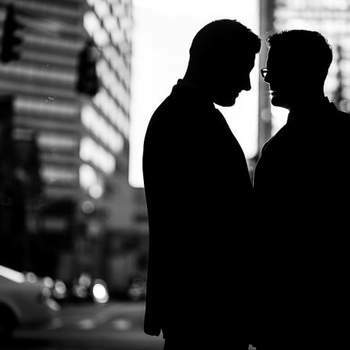 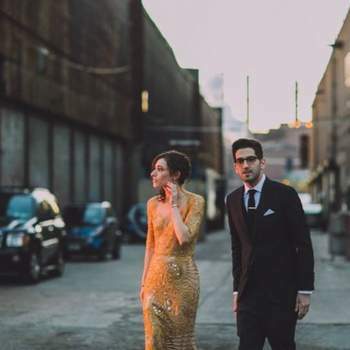 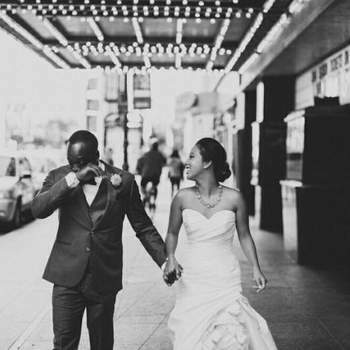 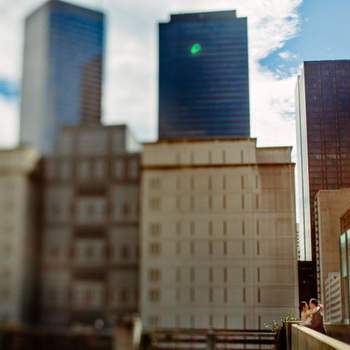 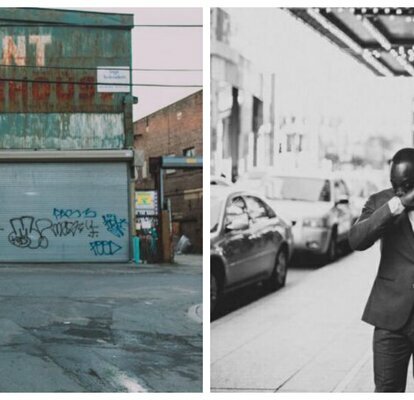 Romance in the city - these urban backdrops make for spectacular wedding photos. 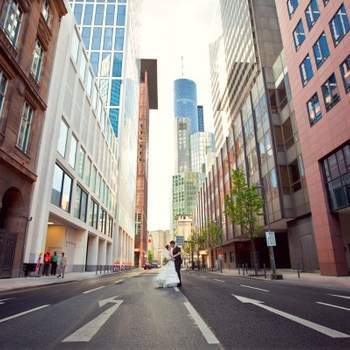 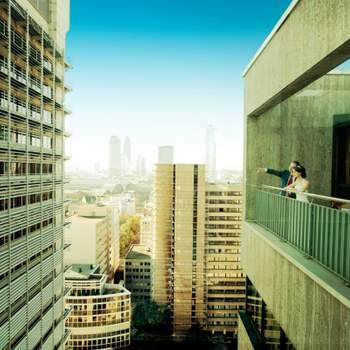 The urban landscape can provide stunning backdrops for wedding photography. 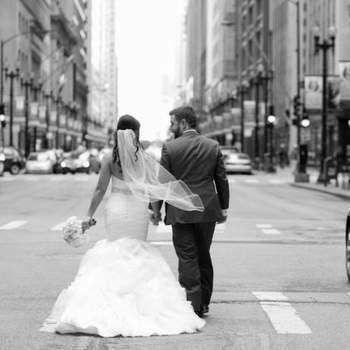 The dynamic shapes of modern buildings can help emphasize the softness of a bride’s dress. 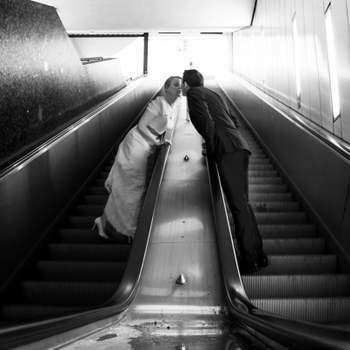 Historical cities add cultural history and gravity to wedding photos. 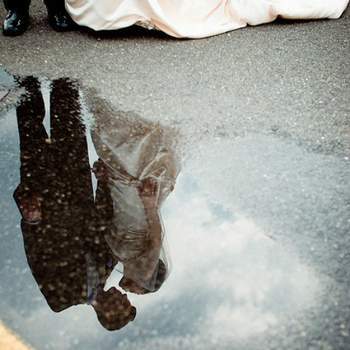 You may recognize some of the photos from Real Weddings that we’ve published. 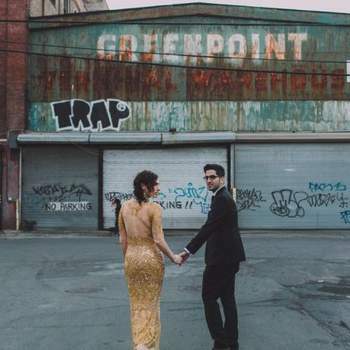 In fact, the entire real wedding of Maya + Uri in Brooklyn (the first two photos in this gallery) is the perfect example of how urban backdrops can be amazing. 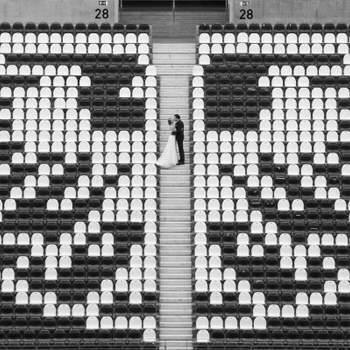 They’re contemporary and modern, but also beautifully temporal – those identifiable buildings will continue to be there probably long after the couple and yet they were a distinctive part of a beautiful moment in two people’s lives. 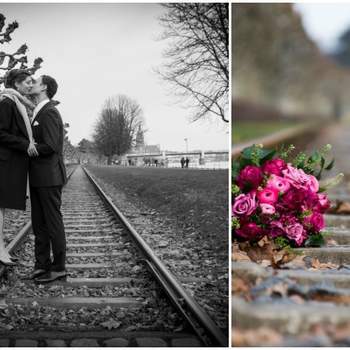 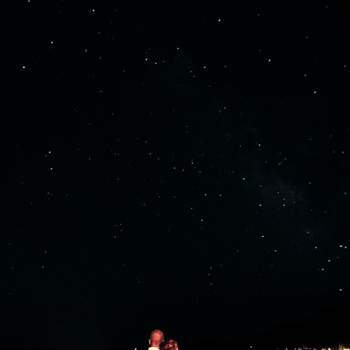 Their children and grandchildren can look at the pictures and go back to exactly the same spot and see the same view as their parents and grandparents did.